A 61-year-old San Jose man was arrested on suspicion of molesting a child in Los Gatos, according to the Los Gatos Monte Sereno Police Department. 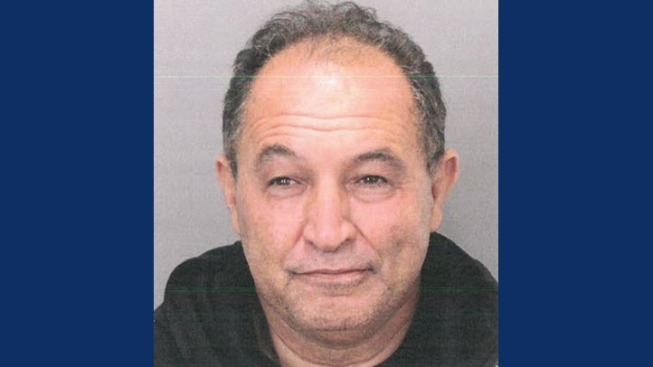 Ali Shakoury was arrested June 29 at his San Jose home and booked into the Santa Clara County Main Jail on one count of molesting a child under 10 years old. Bail has been set at $1 million. Police received information from the family about the alleged molestation on June 25. The incident occurred inside a Los Gatos home, and Shakoury knew the victim and her family, police said. A neighbor of Shakoury's on Blossom Hill Road at Del Oro Drive in San Jose said Shakoury has lived on the block for about a year with his girlfriend. The neighbor said police took Shakoury's computer and cellphone. People who know Shakoury said he has driven Towncars for a limousine company for several years. The investigation, in collaboration with the Santa Clara County District Attorney's Office, is ongoing, and the agencies are seeking the public's help. Anyone with further information about this case or other possible victims should contact the Los Gatos Monte Sereno Police Department at 408-354-8600 or Detective Bill Hoyt at bhoyt@losgatosca.gov.